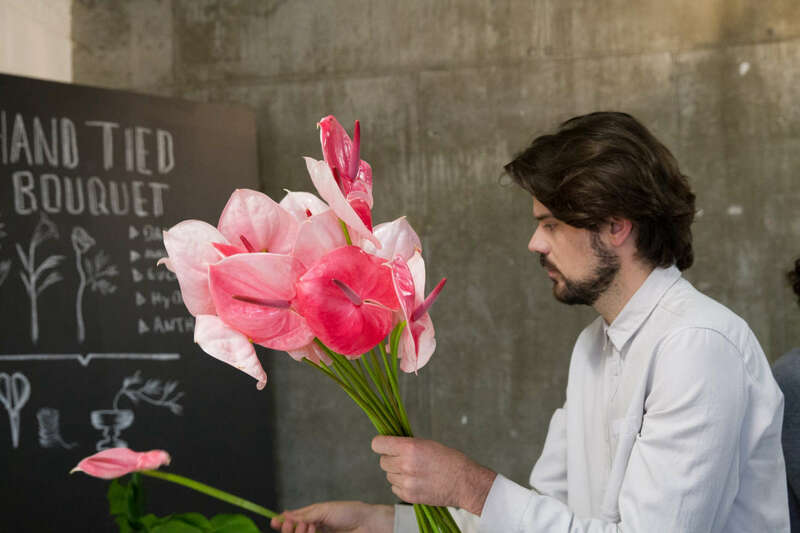 If you’re interested in learning a new hobby, or perhaps have ‘green fingers’ and are looking to enhance and improve your skills, or perhaps even have an interest in starting a business, why not consider learning floristry in London? At London Flower School you can learn all about the business and art of floristry, whilst being encouraged by industry experts to rethink your approach to floristry and develop your own style. Whether you’re a hobbyist , business owner or potential floristry entrepreneur, there’s a course available just for you. Exploring the intersection of three aspects of Visual Art – photography, painting and floristry – this four day course is ideal for the floristry beginner or to simply seek inspiration. An amazing amount can be learned about floristry in a week, and this course serves as a perfect introduction to the art of floristry. From learning the basic floristry techniques through to inspiration to find your own style, the one week Foundation Course is a delightful first step in floristry for all. If you’re looking to learn how to arrange stunning floral displays for events and weddings, this two week floristry course is ideal for you. If you’re already in the floristry business, perhaps looking to take your business to the next level or are seeking refreshing creative rejuvenation, this four week course is ideal for you. Alternatively, if you’ve always wanted to start a floristry business or just work in the industry, this course is also excellent for you to learn everything you need to know about working with flowers. Floristry is far more than a selection of techniques ‘just’ to arrange flowers. Many routine courses teach exactly that – the same routines or the same techniques and tips. However, the ‘secret sauce’ to floristry is inner inspiration, which needs a special combination of inspiration, creativity and education. Experienced florists will show you how to create art and floral design rather than ‘just’ arrange flowers. Vision is pivotal to the development of each floristry student, and every course should seek to nourish the individual to inspire in their own direction, rather than follow others. Floristry students need to also learn ‘soft skills’ such as exploring colour, shape and space to incorporate flowers into a surrounding environment , rather than just being an individual arrangement in a specific location. Styling and branding arrangements are also encouraged, whereby students and floristry professionals can truly flourish into their own ‘look and feel’ that will reflect their creativity. Whether you’re looking to start into the delightful world of floristry, increase your own floristry experience, or learn techniques to benefit your business, learning floristry in London has never been more accessible. With experienced tutors renowned in the floristry industry, a wide range of floristry courses are available to develop, inspire and nourish your floristry skills. Why not indulge your creative soul and enrol on a course today, and tomorrow you could be fulfilling your floristry dreams? Next article Want to learn about mixology? Join a school now!